Given a new team or a team restructure, should you baseline? Do all teams point differently? Do the team need to baseline? Do you need to align your pointing to be the same across teams? Should all teams point the same? Should teams be autonomous? These are the types of questions that come up in newly formed teams that have a mix of experience with either agile or their peers. Ultimately it should be up to you and the team. Teams should be autonomous. What works for you and your team is probably right. Nobody should tell you how to work, that is your job. With that in mind, however, it does come with some advice. The phrase “Release early. Release often. And listen to your customers”, has always served me well, I would highly recommend that when in doubt, follow this. Think about it. 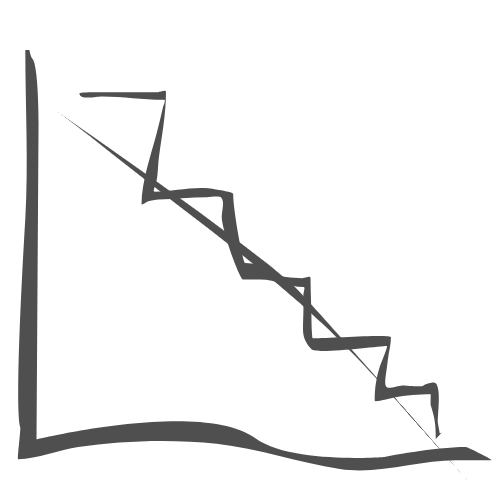 What does the ideal burndown chart look like? It’s iterative and incremental. You want to be aiming for as close to the “ideal” line as possible. That means little stories and often. Avoid the temptation to take on too much in one go. This is not sustainable. We don’t need to get it all right from the beginning, we don’t need to build it all at once. A little and often is how you show progress and maintain momentum. There’s some really good advice out there on shaping stories, such as the “INVEST” mnemonic. It is normal for new teams to not agree on size and shape to begin with, it will take time to learn and adjust. Don’t let this put you off, persevere and overtime the team will become aligned. You have to be patient. This is how you nurture culture. I wouldn’t recommend doing a baseline activity as it implies a prescribed way of pointing stories, when it should be an opportunity for the team to learn to work together. However, if you’ve got stories that are relatively big, you’ve really got to be asking why? Do we understand it? Can they be broken down? You shouldn’t need to do anything different. Just keep meeting and listening to each other, the rest will follow. Don’t waste too much time over-thinking estimates, they are just estimates. Its a guide to help you keep moving forward. Remember, outcomes are what matter.